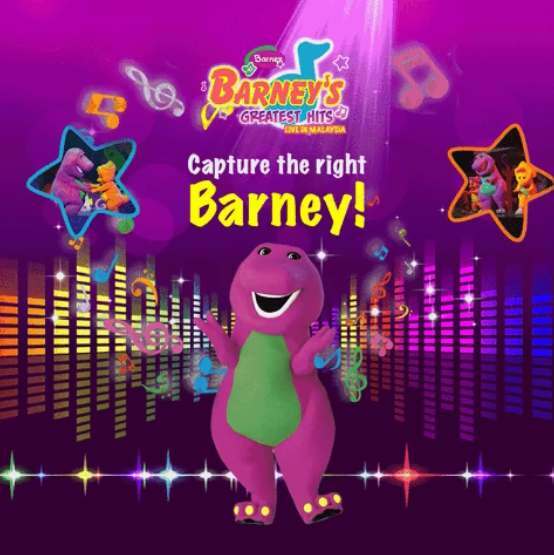 Capture the RIGHT BARNEY and stand a chance to WIN a pair of GOLD TICKETS worth RM 536! Step 2: Pause the gif. when it shows the right Barney. Step 3: Print screen and paste the image in the comment box below. Step 5: Follow us closely to see if you have WON! Find out more at Barney’s Greatest Hits #Malaysia.